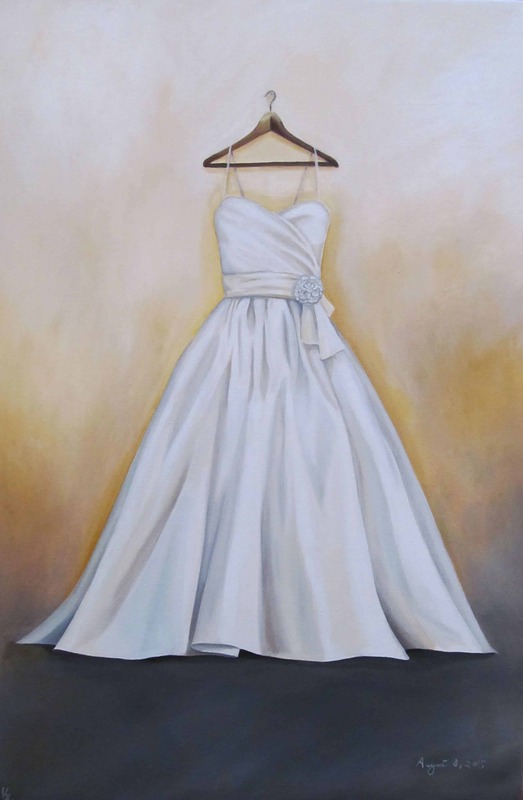 A bridal gown painting makes a great shower gift, and serves as a personal memento of the most important outfit in a woman’s life, to enjoy everyday long after the dress is packed and stored away. 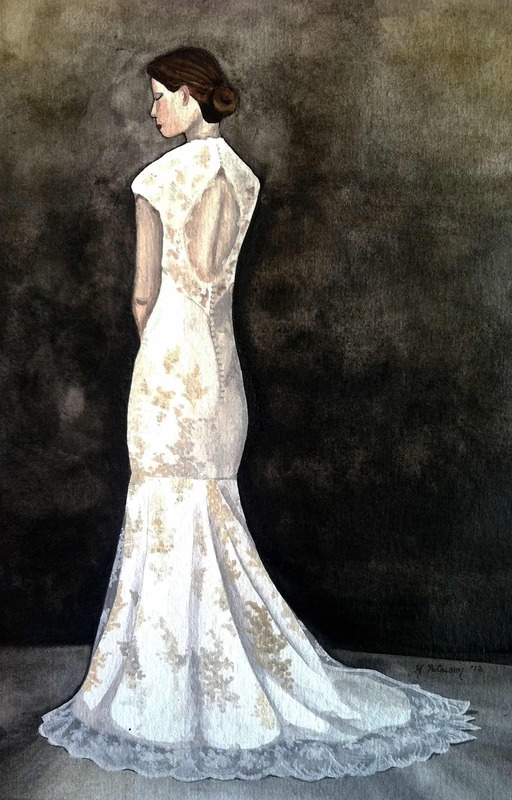 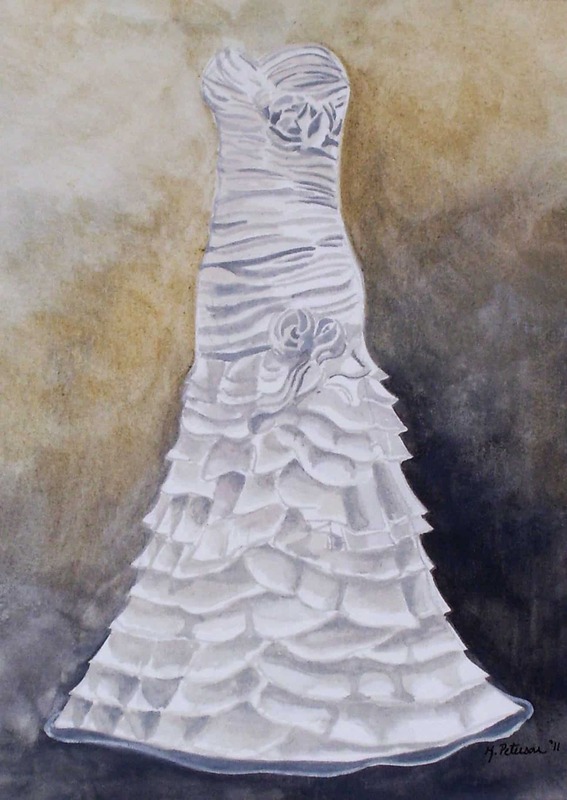 If you are interested in a commissioned bridal gown painting, please feel free to reach out to Katie with any questions or requests. 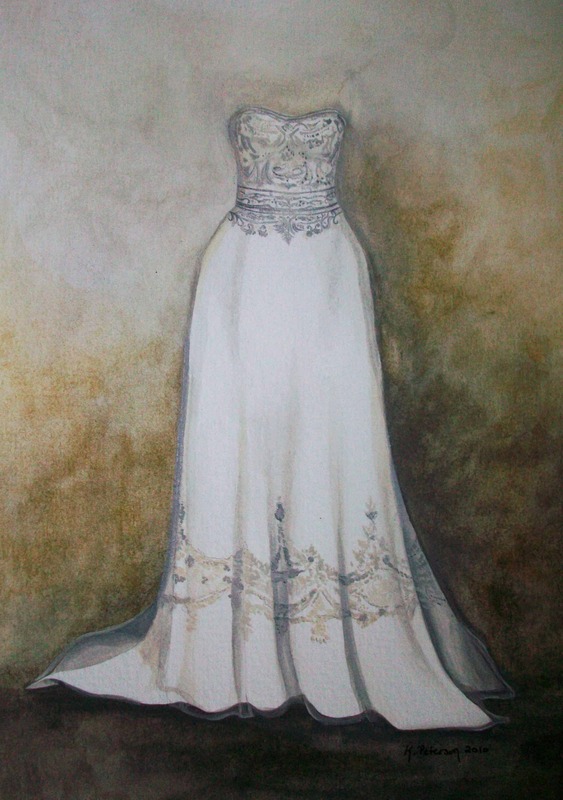 Bridal paintings are available in any size, in watercolor or oil paint.